Located in northwest China, Chang’an (modern Xi’an) served as the gateway to the so-called Silk Road, overland trade routes that linked the prosperous Tang empire with Central, West, and South Asia. Foreign merchants joined Buddhist missionaries, diplomatic envoys, translators, craftsmen, entertainers, and other skilled immigrants to transform Chang’an into a cosmopolitan city. This wealthy, worldly hub offered a ready market for exotic imports, including silver and gold objects, delicate glassware, and even grape wine. To meet accelerating demand for stylish goods, local artisans translated foreign designs into a Chinese style. Of all the travelers to Chang’an, the most successful group came from the distant kingdom of Sogdiana, located far to the west in modern Uzbekistan and Tajikistan. These Persian speakers seamlessly connected the cultural realms of China and Iran. While some traders and artisans traveled back and forth across Asia, others settled in China, where they helped fuel a fashion for Central Asian culture. One Sogdian community leader who died in China chose to be buried in a Sino-Sogdian manner and commissioned the funerary couch on view in this exhibition. 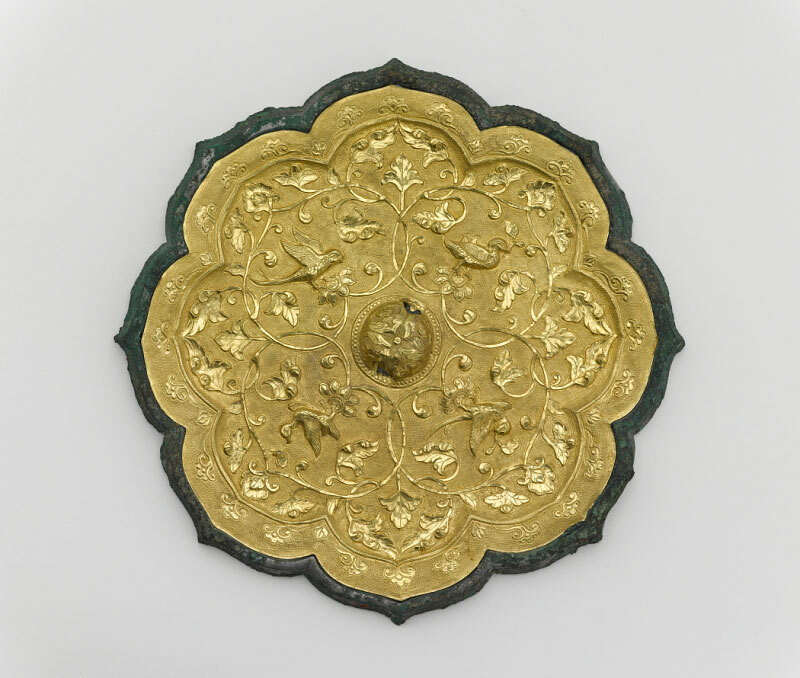 Over time, the Sogdian population was gradually absorbed into Chinese society. Today, the Sogdians are regarded as a lost people.